The Ram is part of a chain. 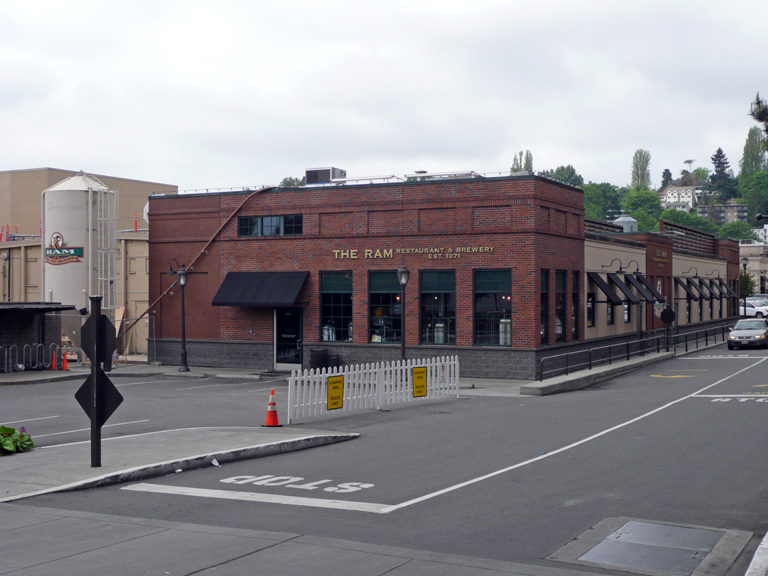 This location is in the outdoor shopping mall called University Village. 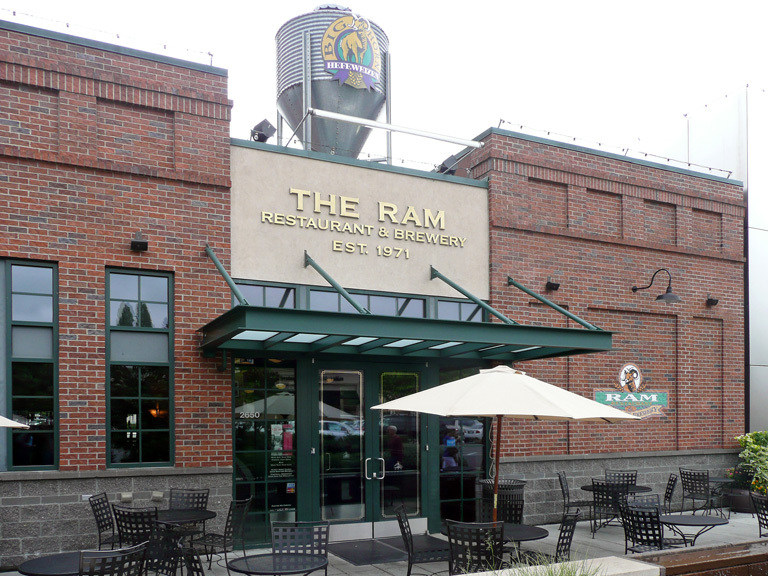 The beers for the Ram are brewed on site (generally 10 taps). 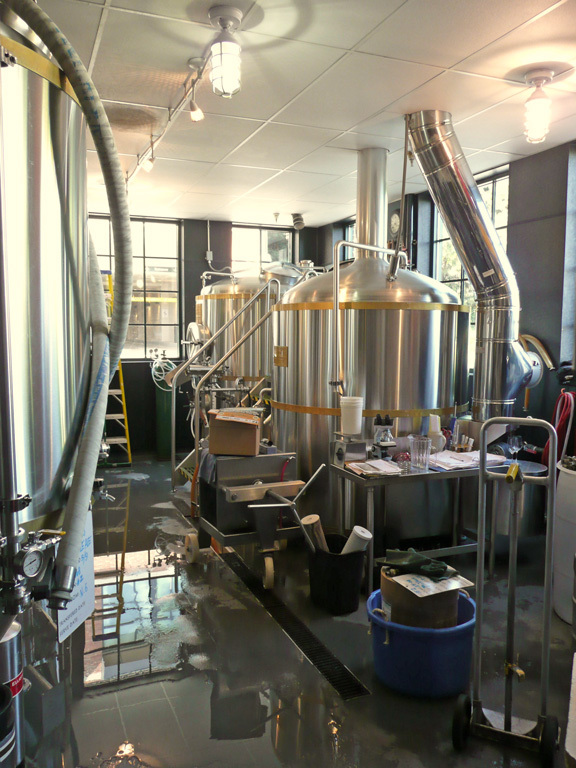 The beers are mostly run-of-the-mill. The hefeweizen and especially the IPA are respectable, but the porters and stouts are weak and there are also a lot of less flavorful beers. However, the beers have evolved over the years we have visited, so the trend is in the right direction. The brewers are different at each location and the special beers (beyond the standard lineup) vary. 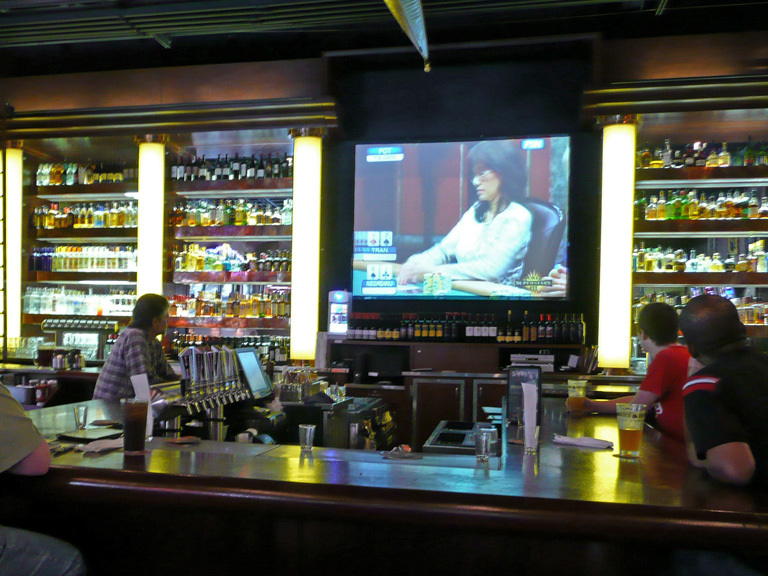 The bar is a sports bar, plain and simple. There are multiple TVs of various sizes but all have the sound turned off. The servers not very knowledgeable about beer, but the bartenders tend to be better. There is a big bar area and a separate big restaurant area, in which minors are welcome (weâ€™ve never been in the restaurant). 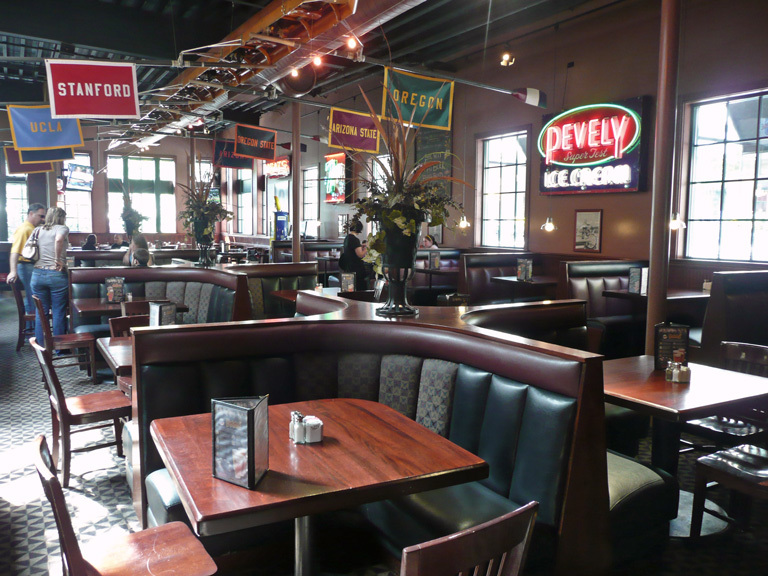 The bar has tall wooden tables and chairs, booths around the outside walls, and tall stools around the extended bar. There are various sports jerseys of UW heros and a large scull (the boat used for crew racing) just under the ceiling. It is dark and generally over air-conditioned and has something of a suburban feel to it, but itâ€™s still a reliable place and worth a visit if you know what to expect and you happen to be nearby. The food is not inspired. You wonâ€™t go away hungry but neither will it be memorable (or particularly healthy). Still, it must hit the spot for many since the place is usually crowded. 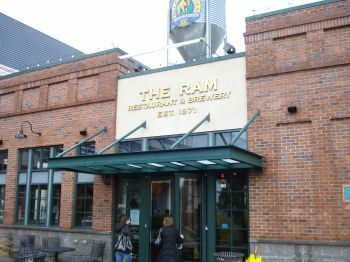 During the summer, University Village (www.uvillage.com) hosts outdoor concerts every Wednesday evening, and for these events the Ram sponsors a large beer garden (over 21 only). If you come early enough to grab a table and the weather is nice, it can be a very enjoyable way to sample their beers.